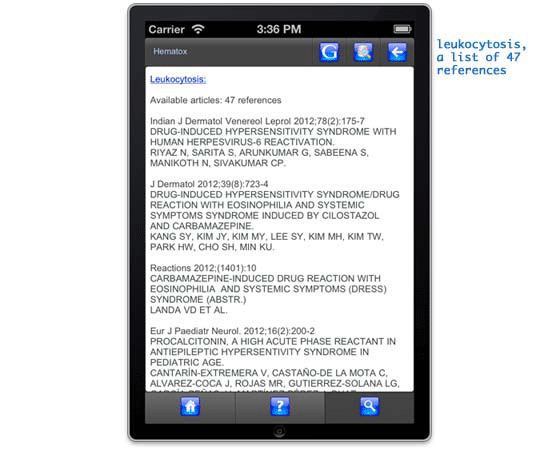 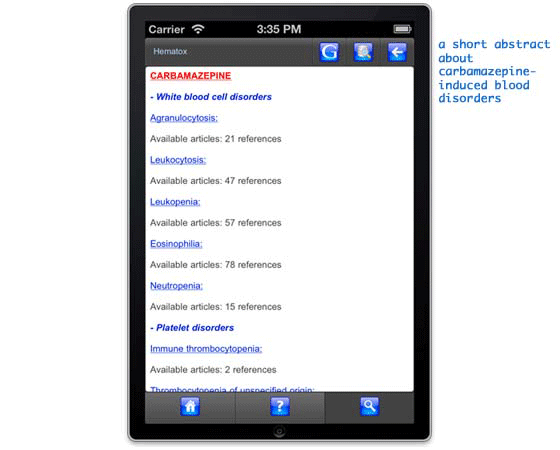 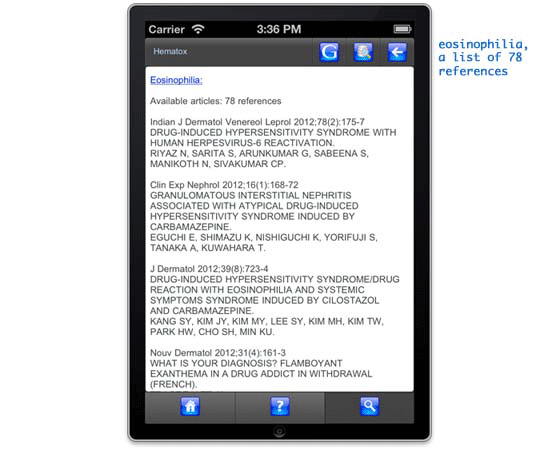 Hematox®, a bibliographical databank based on drug-induced blood disorders, was created in 1983 by Michel BIOUR (MD, PhD), and monthly updated in accordance with other bibliographical databases such as Embase® (Elsevier), Medline® or X-Reactions® (Adis Press) and with the analysis of the references cited in each registered article. 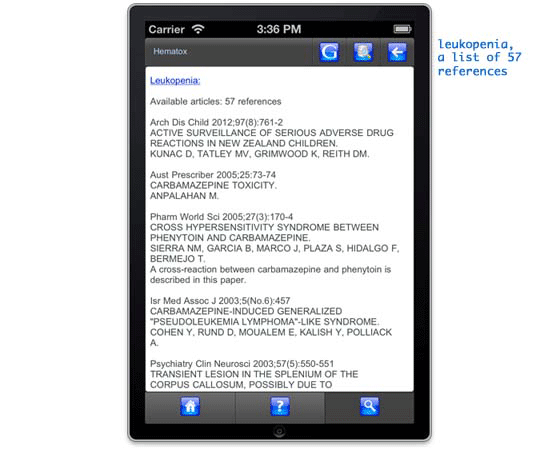 All the published cases for selection and classification were re-evaluated in accordance with criterions usually validated in hematology. 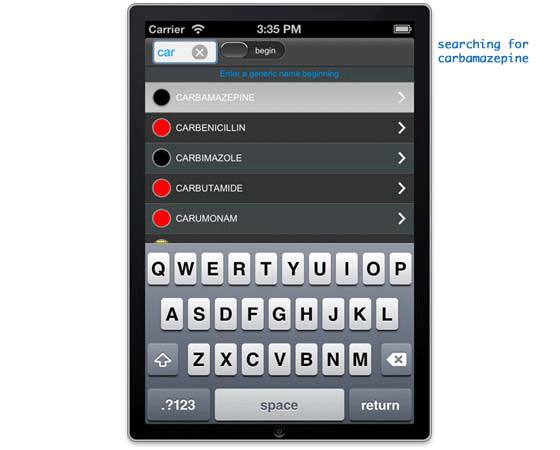 More than a thousand drugs are registered with around 15,000 corresponding and available references.